At 11:12pm, as members were cleaning up from this year's carnival and Engine 101 was on the street filling in the Pleasant Valley Fire Station, Carroll County Emergency Communications struck out Box Alarm 10-16 for the reported garage fire in the 2800 Block of Graybill Court. First arriving Chief 10 (T. Coe) found a 2 1/2 story single family home with an auto on fire in the garage with extension. Chief 10 established the Graybill Court Command and requested the Rapid Intervention Dispatch. Engine 102 laid a 4" supply line from the intersection of Graybill Court and Clauser Court and rapidly deployed two attack lines. 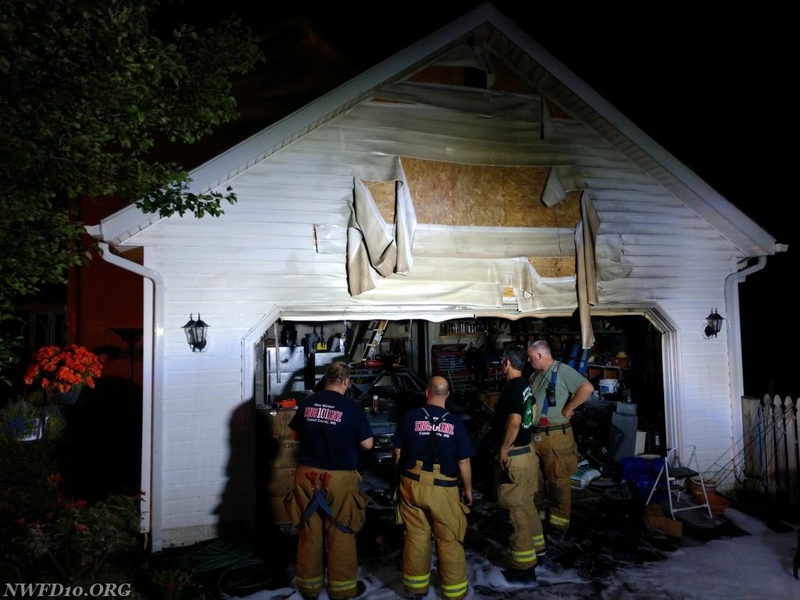 The first attack line was deployed to the garage to knock down the fire and the second line was deployed through the front door to ensure that the fire did not spread into the living area of the home. The fire was placed under control 12 minutes after fire department arrival and was contained to the garage. Engine 131 (from Station 3) and Utility 10-1 assisted with overhaul and ventilation. The assignment was scaled back to units from Stations 10 and 8 as well as E131. The scene was turned over to the State Fire Marshal's Office.